NetEnt adds another exciting product release to its packed FIFA World Cup™ roadmap with NetEnt Live’s Sports Betting Widget. It is an industry-first product that will give players the chance to play live casino games and bet on sports at the same time. Sports Betting Widget utilises unique streaming technology and content management tools to create a seamless gaming experience, where operators can offer live odds on any sport, match or marketplace on any NetEnt Live game table. Stoiximan has become the first operator to sign up to Sports Betting Widget, in time for this year’s FIFA World Cup™ with others set to follow. Stoiximan will offer both pre and in-play odds, which the player can bet on while enjoying the live casino experience. Henrik Fagerlund, Chief Product Officer of NetEnt, says: “This is a product unlike anything the market has seen before and we are releasing it at a very exciting time, with the start of the World Cup only a few weeks away. Ioannis Kalambokis, Head of Casino from Stoiximan says: “We always want to offer the ultimate User Experience to our members. That’s why we worked closely with NetEnt in order to create an innovative way of combining Sports Betting with Live Casino. 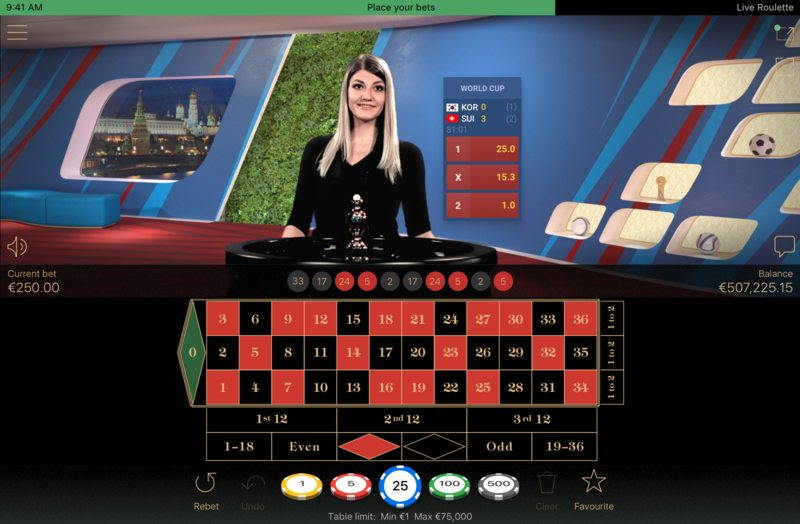 The Sports Betting Widget is another viable application of the Chroma key technology and it follows the release of NetEnt’s Live Sports Roulette, which allows players to keep up to date with scores and real-time updates during World Cup matches while playing Live Roulette, with dealers commenting on the action.